We had a lovely time at the Oriental Aroma in Royal Wootton Bassett. We learned about Chinese New Year, how to use chopsticks and how to fold paper napkins into fans. The food was delicious! Thank you to James and all of his staff for this wonderful experience. All of the money they raised went to the Prospect Hospice. Foundation Stage enjoyed making a teepee with Miss Jenkins and Miss Clark. Here is the overview of our year. We have been reading The Enormous Crocodile by Roald Dahl. On Tuesday 13th September, we dressed up as our favourite character from a Roald Dahl story. Thank you to Ellie and Rachel from Eastcott Vets who came to our school on 14th September and taught us about how to look after pets. 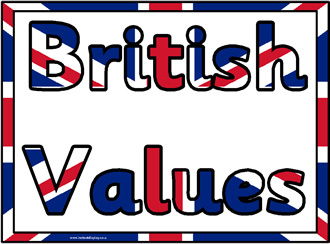 In Class 1 we promote British Values through a creative and a broad curriculum. Our children learn about festivals from a variety of cultures including Harvest and Diwali. In geography, we learn about the four countries that make up the United Kingdom. In history, we learn about significant British people e.g. Brunel, Florence Nightingale, The Beatles and Thomas Lawrence (a famous Wiltshire artist). In Class 1, the children have many opportunities to share their thoughts and views with others. We promote a non-judgemental environment where we listen to others and encourage questions in order to learn from each other. Our class has a representative on the school council. Our class rules are decided through a discussion with the children and are displayed in our room. In this way, the children understand the reason behind them. Within our curriculum, we ensure that we teach the children about a rich mix of cultures and beliefs. This may include food, clothing and customs. Where possible, we arrange opportunities for the children to speak to people from different cultures and experience some foods and customs first hand. The children enjoyed a visit to the Chinese Restaurant in Royal Wotton Bassett. In Term 1 of 2015, we will be learning about India and providing a banquet for the children.